The Grand Champion Ram Lamb during the Youth show at the Black Sheep Gathering in Eugene OR is Terra Mia Arthur, owned and shown by Isabelle Pierre. 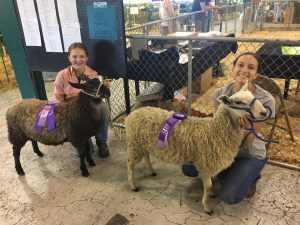 Isabelle is a new youth member, and Arthur is her first lamb in her BFL flock. The Reserve Champion Ram Lamb is owned by Rhiannon Curley, also a BLU member. Both girls hail from Oregon.